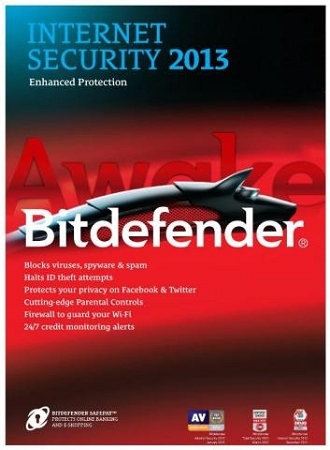 Bitdefender Internet Security 2013 builds on highly awarded AntiVirus technology to secure online transactions, protect Mobile devices from loss/theft, automatically Back-up files, and tune-up PCs. Bitdefender Safebox stores and protects your important or sensitive files in a secure online location, so you can manage and access safely, from any device - iPhones, iPads, Android phones/tablets, Kindle Fire, or PCs. 2 GB free! Blocks inappropriate content, restricts Web access, and helps you remotely monitor your children's online activity, even on Facebook! Tune-up: Removes unnecessary files and registry entries on PCs and Android phones/tablets, for optimized performance.